Sarens was asked to lift the aircraft from its location at OR Tambo International Airport to the Comair training centre, which is being built on the other side of the highway. During the overnight lifting operation several roads, including the main access route to the airport, had to be temporarily closed. 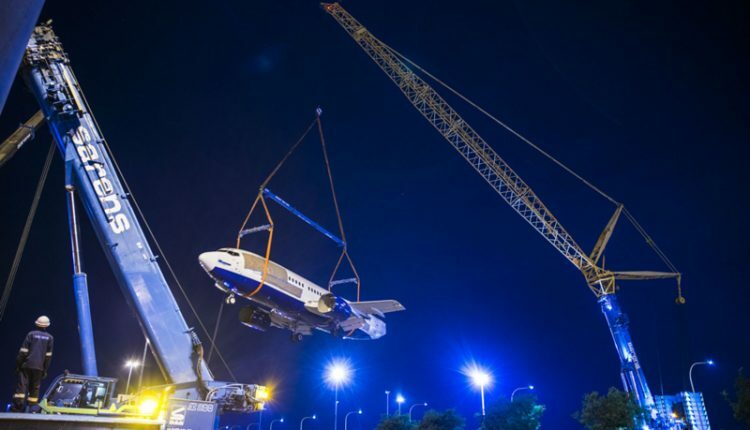 Sarens used three cranes – an LTM1400, AC500 and AC200 – to lift the Boeing aircraft, which had a deadweight of 25 tonnes and measured 33.35 m x 18 m x 5 m.
The aircraft will now be enclosed with a building that is to be constructed around it, with the view to establishing a cabin crew and flight deck crew mock-up evacuation trainer representative of a real aircraft.